Mikerline Pierre’s dance background is steeped in the rich Haitian tradition. 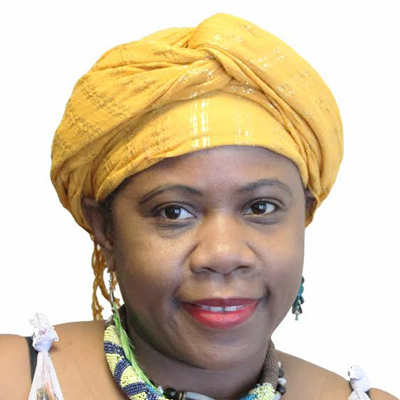 She studied under Haitian dance giants, including Vivian Gauthier and Pierre Desrameaux and at the renowned Enarts Dance School of Haiti in Port-au-Prince. She has traveled and performed for audiences in Cuba, Santa Domingo, the U.S and across Europe. She was the artistic director and choreographer for Troupe Makandal in Brooklyn. Pierre dancing and singing talents has led to many features in music videos, workshops internationally. She began teaching at Djoniba Dance Centre in 2000 and is now the founder of her dance school “Mikerline Dance Studio” and a dance company. Haitian dance: and music such as Rara, Yanvalou and others originating form Benin, west Africa, is also mixed with some of the French slave master court dances while predominantly showcasing the powerful torso, pelvis and leg movements with the strong rhythmic drums of Africa.